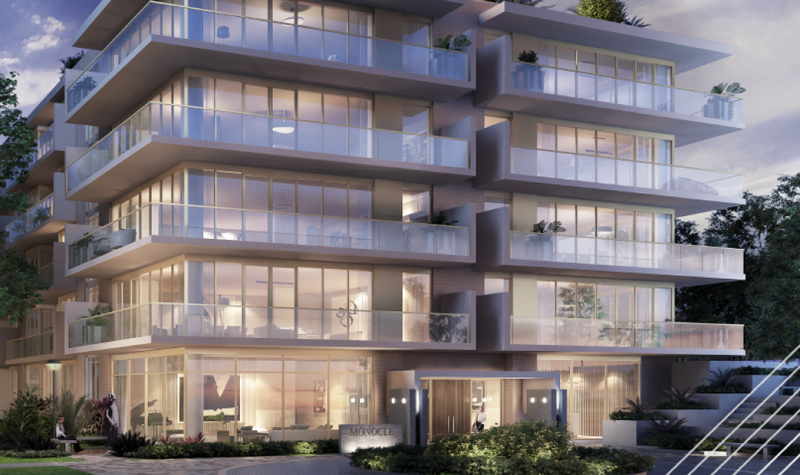 eQ’s SAM awards sweep included the best townhome model for The Atticus. eQ’s SAM wins come just weeks after the company scooped up the prestigious production builder of the year prize along with the best new planned community for its Greystone Village development at GOHBA’s Housing Design Awards. 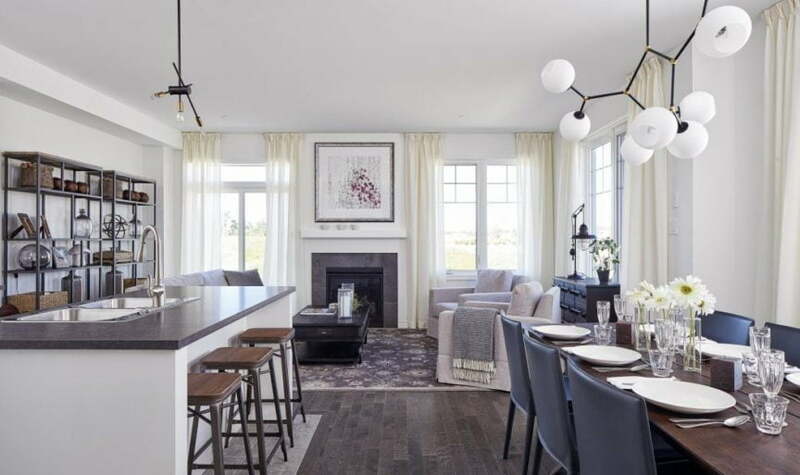 Greystone Village was also in the SAM winner’s circle, this time for the best condo project, while eQuinelle, eQ’s golf-course development in Kemptville, snapped up the best community prize. It’s the third year in a row eQ has nabbed the community category, winning last year for Greystone Village, & in 2016, for eQuinelle. Ashcroft’s awards included the best video, a tie with Cardel Homes’ Blackstone development for best signage, and the prize for the best brochure. 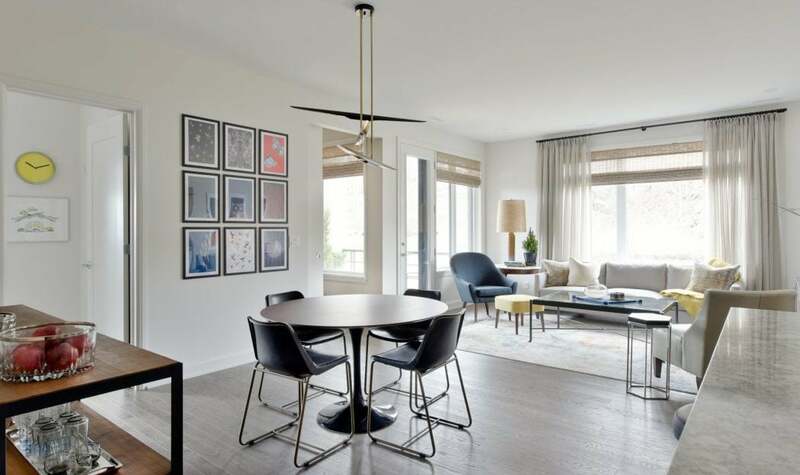 In the five model home categories, it was all about the balance between being memorably attention-grabbing while also appealing to the general buying public, according to judge Anita Murray of All Things Home. 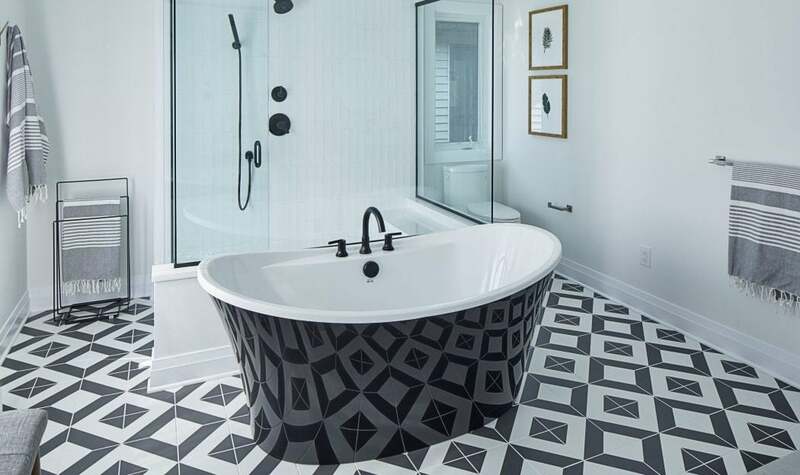 Geometric tiles and a black tub were the stories in the eye-popping ensuite in Richcraft Homes’ Cedarbreeze, one of two Richcraft models to win in single-family home categories. While the ensuite is an obvious attention getter, Murray notes that the master bedroom is also commanding by virtue of being studiously neutral in its colours at the same that its design is dramatic. Richcraft’s other trophy was for its Beachside model. Blending deep blue and white in its kitchen and sporting an elegant horizontal fireplace surround in the adjacent living room, the Beachside was also a winner at the recent design awards. 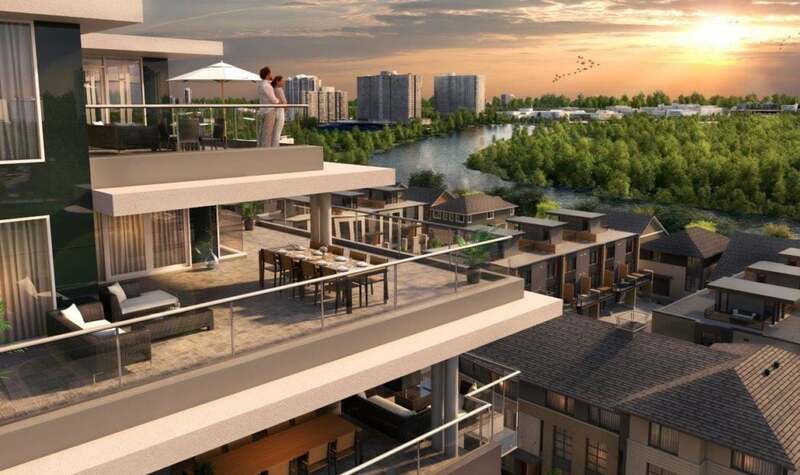 The other model winners this year were eQ’s Homes’ townhome The Atticus, the Tweed by Tartan Homes, and the Vista, a low-rise condo by Uniform Urban Developments. Tartan and Uniform also won marketing innovation and logo awards respectively. “People just need to look, touch and feel. They need to walk into the house, they need to feel the space. Not everyone is visual looking at a floor plan,” she says.